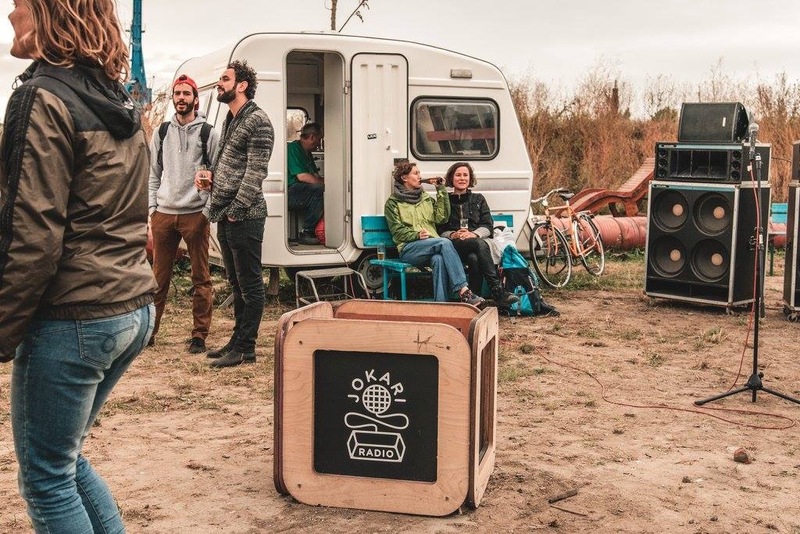 DOK is located in the old harbor docks of Ghent where it has transformed an abandoned site since the Summer of 2011 towards a workplace for leisure and creative manoeuvres. It is mainly a platform for creation and a workplace, but also pulls crowds with large and small events for the young and old. DOK as a temporary use project is also a think tank with a refreshing view on urban development. Key words are: experiment, (artistic) renewal, support for creative urban dynamics, and encounter. DOK explicitly wants to host new ideas, collectives, and projects. Productions can be tested, initiated and realised here. What happens at DOK is determined by the DOK residents. And I was one of them for two years in a row. In 2016 I recorded sounds and stories in a mobile radio unit. In 2017 I installed the seedfactory as an agency for spontanious and necessary interventions in the city landscape. Both projects made me focus more on my significant role as an artist and an activist in urban change. The artist as a platform, the activist as an expert and a network. At the end of 2017, DOK asked me to do some editorial design (vision text, status report & presentation) and to describe the art of commoning at DOK into the annual report, see chapter 6.1 (text is written in Dutch). In 2018 I started working parttime on DOK to support and coach the residents in their creative process and productional tasks.